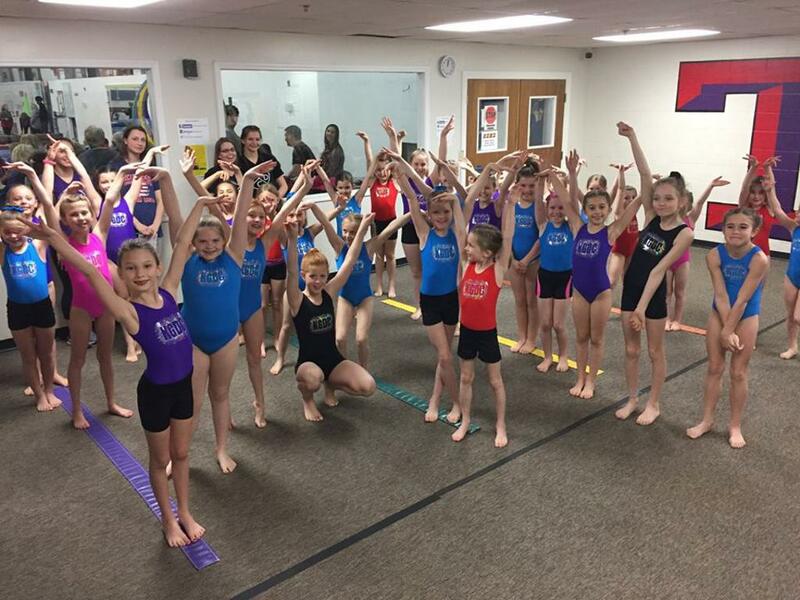 Kansas Gymnastics and Cheer offers a fun and exciting gymnastics program where every child is a success! 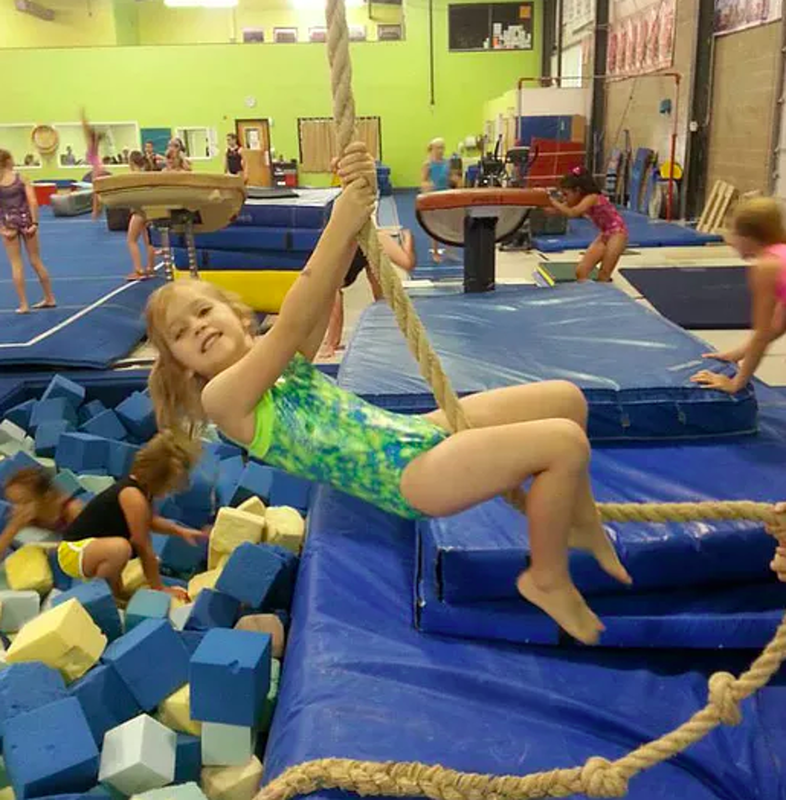 Our focus is for children to learn and master the fundamental skills of gymnastics while developing strength, coordination, flexibility, balance, and most importantly, a love for fitness and increased self esteem. KGDC’s creative lesson plans and skill specific equipment make classes challenging with achievable goals! We provide classes for beginners through advanced gymnasts in a safe and caring environment. KGDC looks forward to becoming a positive addition in your families’ lives! KGDC offers our grade school instructional students the opportunity to participate in our “Performance Program” throughout the year. During regular class time, in addition to the usual circuits and skills worked on during class, all the grade school instructional (Stars, Rising Stars, Super Stars 1 & 2 and Mega Stars) and the developmental program students (Tiny & Mini Twisters) will learn a simple routine on each event (which will teach the kids how to sequence skills together). Approximately every 12 weeks, at KGDC, in a “competition” type format, each child will proudly put on their sparkly team leotard and perform these routines in front of judges, parents and guests. All participants will receive awards! Our goal is to give the kids something to look forward to and have a better understanding of what gymnastics is all about!!! Participation in these competitions is optional with minimal additional expenses. Sign-up is required. Multiple emails will be sent out to keep you updated throughout the season. If you have any questions, feel free to contact us at kgdcgym@gmail.com. KGDC prides itself on providing a fun, positive environment that defines success as “personal best”, not better than others. This places value on effort, self-improvement and skill mastery, which are all within the control of each individual. Throughout the year your child’s progress will be tracked using skill evaluations. Each class division at KGDC has a list of multiple skills on each event we feel are important for your child to master before moving on to the next class division. Keep in mind each child is different and will learn skills at varying rates. Please remember that evaluations are NOT a test, simply a tool to keep your child and instructor headed on the right path to success. You may follow your child's progress via the parent portal and the evaluations tab! !